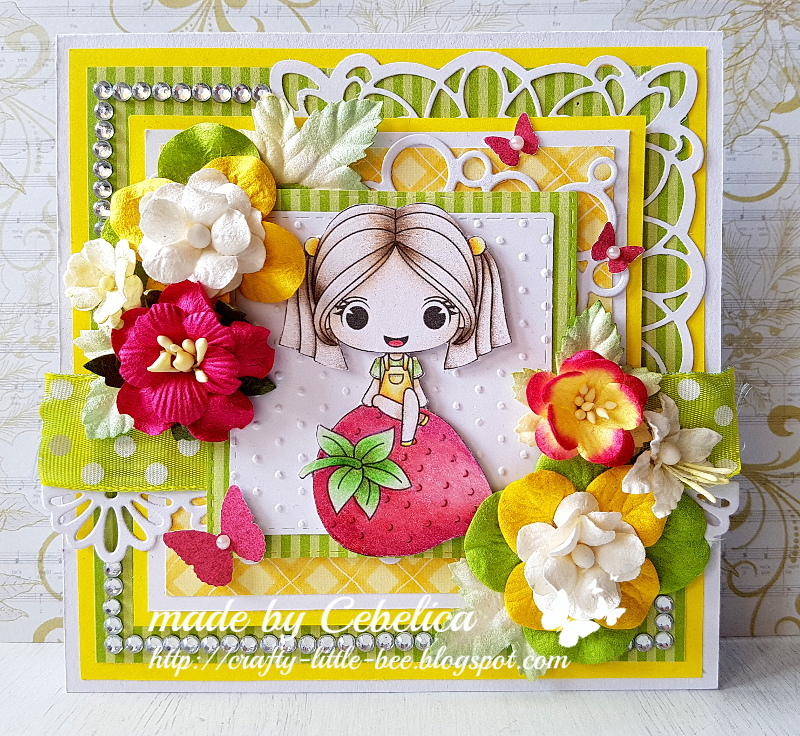 My little world: Who likes strawberries? You are probably wondering why I am babbling about strawberries, aren't you? Well, a short while ago I participated in a card swap in Stamp Anniething FB group. Each participant was given the same digi stamp and we had to make a card with it and send it to our swap partner. The image was of a sweet girl sitting on a strawberry. I made this card for the swap, but also as a reminder for the current challenge at The sketchy challenges blog, where our current challenge is "Ribbon, lace or twine". You have til the end of the month to enter your creations into the challenge. I hope many of you will join us! Image is from Stamp Anniething and I coloured it with pencils. Papers are from my stash and the flowers are from I am roses. I also used some crystals, pearls and a piece of dotty ribbon as embellishments.